The orchestra of the University of Music and Performing Arts Vienna is almost as old as the university itself. Since its founding in 1817 (as the “Conservatory of the Society of Friends of Music”), the orchestra has cultivated the performance style and sound typical of Vienna. 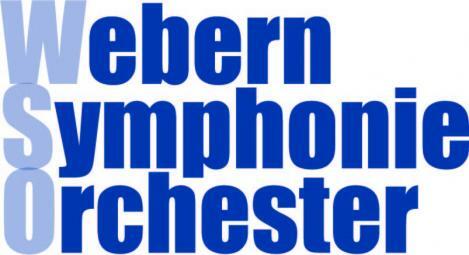 To be accepted into the Webern Symphony Orchestra, students must already have experience playing in an orchestra and have extremely good technical skills. The various assignments of this orchestra include opera productions, symphonic concerts with the great classic/romantic repertoire, projects with contemporary music, and much more. It is precisely these requirements that young musicians must measure up to when they later perform in professional ensembles. Helmut Zehetner, professor for orchestral instruction at the university, has artistic/educational responsibility for orchestras. As a member of the Vienna Philharmonic, he teaches the next generation about the traditional Viennese sound. The public can hear just how much the Webern Symphony Orchestra has achieved several times a year – this orchestra need not be apprehensive about comparisons with renowned orchestras. The students at the University of Music and Performing Arts Vienna have benefited in the past from collaborations with such celebrated guest conductors as Riccardo Muti, Pierre Boulez, Franz Welser-Möst, Sir Colin Davis, Bertrand de Billy, Semyon Bychkov, Ralf Weikert, Claudio Abbado, Mstislav Rostropovich, Christoph Eschenbach, Andrés Oroczo-Estrada, Kirill Petrenko, Heinrich Schiff, Luciano Berio and Zubin Metha. Graduates – former members – of this orchestra make their mark on the characteristic sound of the international music scene: they are engaged by the major orchestras of the world, where in many cases they hold leading positions such as concertmaster or principal. culmination of this motto: future-oriented instruction coupled with an understanding of the traditional Viennese sound that is so highly appreciated the world over.